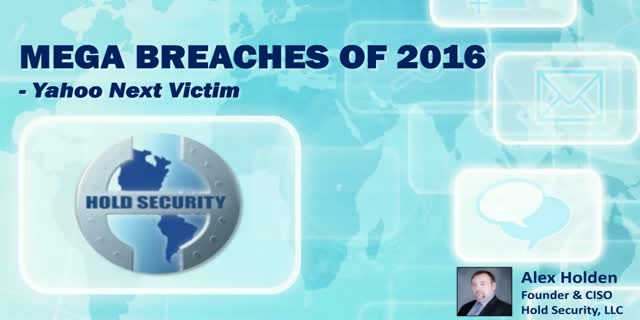 Review of threat landscape of this year's major breach revelations. Why are they all out now? Who are the bad guys? What drives them? Navigating a web of lies and deception to measure current threat landscape. What do you need to know about current ramifications of Yahoo's disclosure? Alex Holden is the founder and CISO of Hold Security. Holden is credited with the discovery of many high profile breaches including Adobe Systems, initial vendor breach that led to the discovery of the JPMorgan Chase breach, and the independent discovery of the Target breach. Considered one of the leading security experts, he regularly voices his professional opinion in mainstream media.